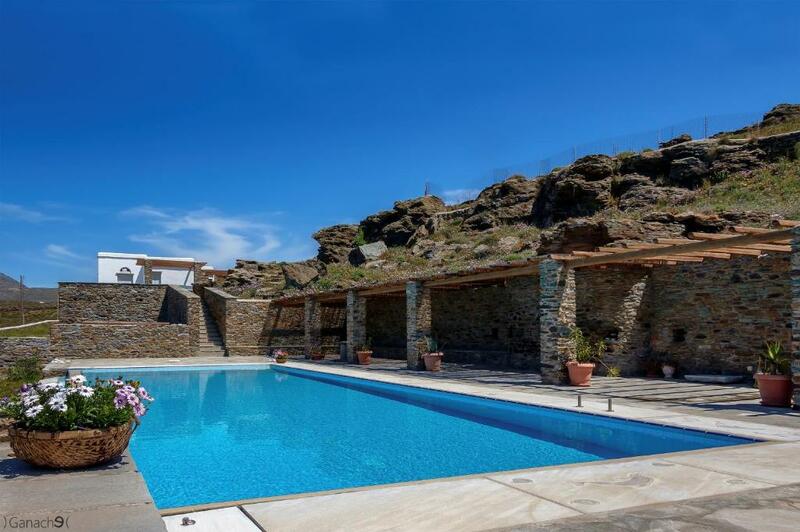 Offering a shared, infinity pool, Evita's Villas in Vourni Village, are built according to the local, traditional architecture. 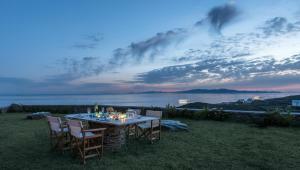 They feature 2 independent and fully equipped units with direct Aegean Sea and Tinos Town Views. Vorini Beach is 500 feet away. 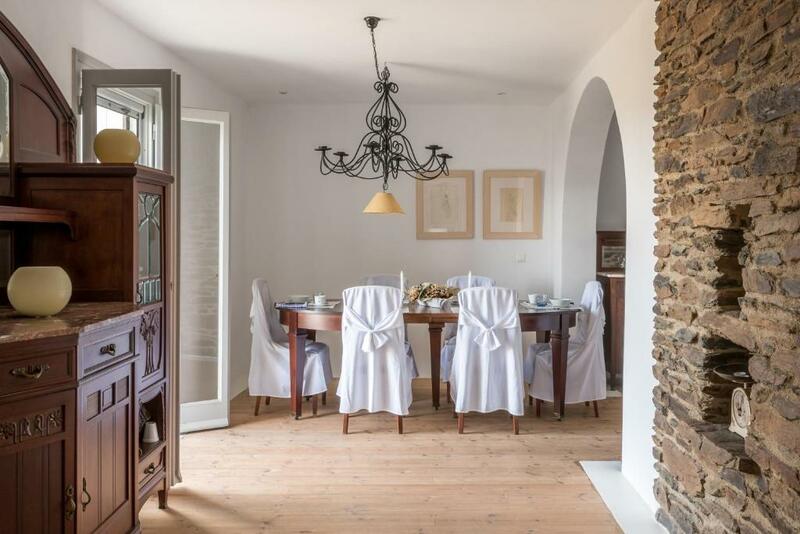 Opening to a furnished terrace, these tastefully decorated villas of Evita come with 6 separate bedrooms. 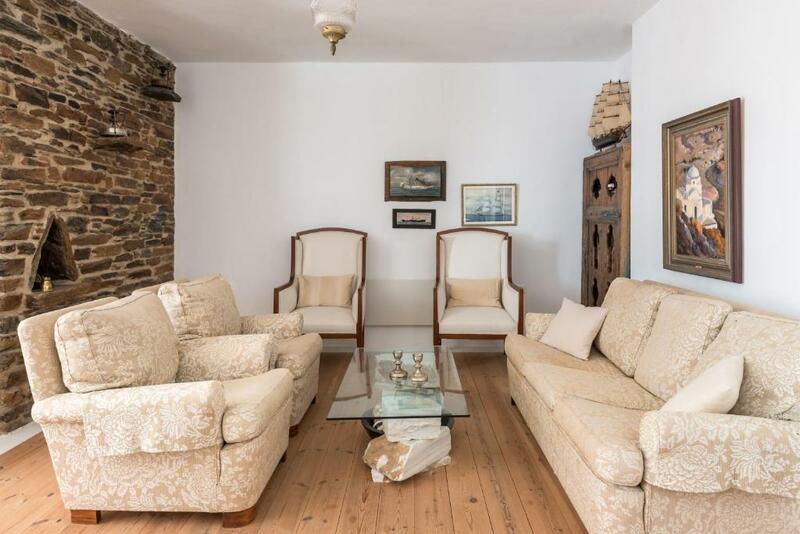 Each consists of a living room with sofas, TV and DVD player, and a kitchen with dining area and oven with hobs. A washing machine and an iron are included. Guests may relax on the sun terrace by the pool and sunbathe while watching the sea views. A garden with flowers and plants is featured and car hire services are provided. Kionia Beach is at a distance of 0.9 mi and Tinos Town with the island’s port and Megalochari Church is approximately 3.1 mi away. Free private parking is possible on site. 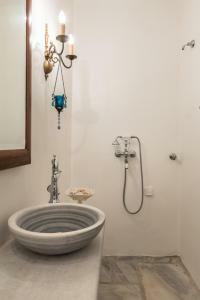 When would you like to stay at Evita's Villas? Offering a shared, infinity pool, this tastefully decorated, 6-bedroom villa opens to a furnished terrace with direct Aegean Sea and Tinos Town Views. It consists of a living room with sofas, TV and DVD player, and a kitchen with dining area and oven with hobs. A washing machine and an iron are included. 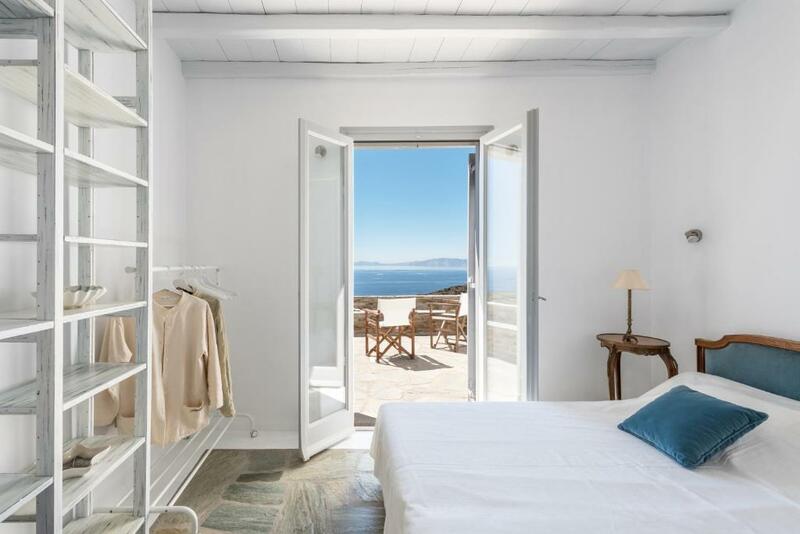 The Villas are built according to traditional Cycladic Architecture with access to a large size shared swimming pool and big garden. They can host up to 12 people each. 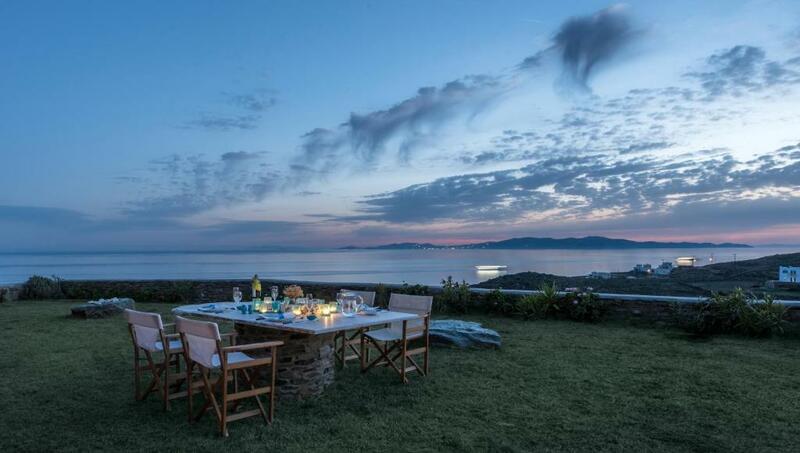 The serenity of the landscape and the unobstructed view of the Aegean Sea as well as many neighboring and more distant islands are our strong point . In addition , the rise of the ....full moon and the sunset are beyond description!!! 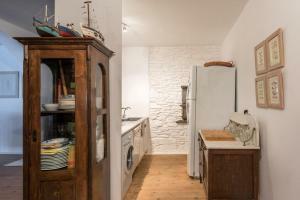 It is in Vourni area approx 4.5 km from the port and town of Tinos. The nearest beach is approx 400m. There is a public bus that comes from the port and town of Tinos to the nearest beach Kionia, 1,700m from the villa. House Rules Evita's Villas takes special requests – add in the next step! A EUR600 damage deposit is required 14 days before arrival (about USD674.61). This deposit will be fully refunded 7 days after check-out, as long as there isn't any damage to the property. Please inform Evita's Villas of your expected arrival time in advance. You can use the Special Requests box when booking, or contact the property directly using the contact details in your confirmation. A damage deposit of EUR 600 is required. The host charges this 14 days before arrival. That's about 674.61USD. This will be collected by bank transfer. You should be reimbursed within 7 days of check-out. Your deposit will be refunded in full by bank transfer, subject to an inspection of the property. We need at least 5 reviews before we can calculate a review score. If you book and review your stay, you can help Evita's Villas meet this goal.